Join our dedicated community of dentists who provide the safest, state-of-the-art, dental services. What matters most, however, are your patients and the advantages that membership ultimately confers on them. As a member, you are part of a supportive network of professional colleagues who make you a better, more confident, more successful dentist. Your patients receive the comfort of knowing that their doctor will provide them the very best, safest, most-comforting dentistry available anywhere. The DOCS Proclamation is our mission statement and conveys the guiding principles of our membership organization, in our efforts toward continuing education, patient safety and care, professional activism, community service and healthcare excellence. The principles of the DOCS Proclamation guide us in our efforts and devotion to the needs of our members, their patients, and in the practice and advancement of safe sedation dentistry. We need a full-time attorney because the national dental guidelines, federal policies, and state-by-state regulations are so fluid it would be next to impossible for practicing dentists to stay current with the myriad of rules that apply to them. Our Regulatory Counsel will provide you definitive, clear-cut answers to all of the above. Best of all, while non-members may have to wait days or even weeks when they ask their state dental board for clarification, John’s response is always prompt and concise. Each year, tens of thousands of highly fearful patients seek a trustworthy sedation dentist with the appropriate background, training, and experience. These patients turn to SedationCare.com for instant connection to a DOCS member in their area. Your listing on this popular sedation provider search website is an exclusive privilege accorded to DOCS Education members as a testament to their commitment to dental excellence, education, and public service. While every DOCS Education member is entitled to a listing on SedationCare.com (and to the gratitude of the new patients who will connect with them), Gold Members receive a premium listing — including top billing in a larger geographic area search and an optional professional headshot that helps fearful patients feel more comfortable about contacting you. One of the most highly prized privileges of DOCS Education membership is the peace of mind that comes with knowing that if you have a patient in the chair and face a quandary about what to do next, a member of our esteemed faculty is just a phone call away. 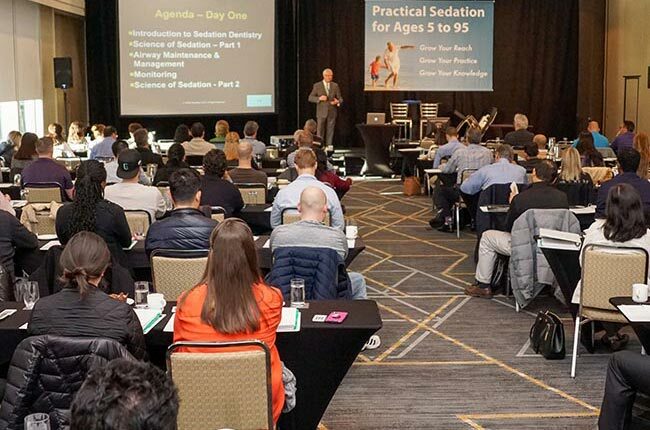 Our members-only telephone hotline enables you to quickly connect with one of our on-call faculty experts who helps teach and update the protocols taught by DOCS Education for safe sedation dentistry. With superior training and strong peer-to-peer networking, most DOCS Education members will never need this assistance, but like auto or fire insurance, it’s great to know you’re covered should the unexpected ever arise. When individuals come together striving for a common goal, it forges a sense of community; the same cohesion enjoyed year-round by DOCS Education members. Although our members live in different locations and don’t “compete” against other teams, we do bond and work for the success of one another and our patients as if we were teammates. The glue that binds us is EliteDOCS Forum, a members-only online platform that connects dentists to one another – and to our world-class faculty – 24/7. There are always friendly and knowledgeable fellow dentists online who are happy to respond to requests for advice and support. Do you have pharmacology, protocol, practice management, equipment/drug, or regulatory questions you’d like answered? You’ll find help and a vast library of actual case studies on EliteDOCS. You’ll also enjoy having the opportunity to share your expertise and experience with other members who are in need of advice. EliteDOCS is a secure, safe forum designed just for you. At our core, we are educators, whose focus first and foremost is on patient safety. Our “classrooms” include hotel conference rooms, universities, dental offices, and websites. We offer live in-person lectures, video instruction, timely publications and white papers, and a vast archive of other educational materials. Wherever they are, whenever they have time, our members can tap into a wealth of rewarding proprietary continuing education opportunities. All of our courses are distinctive; renowned for their instructional methods that include active engagement, rigorous learning, curricula that have been refined and polished by real-world application, and a splash of fun to ensure that what we teach is memorable, actionable, and enjoyable. When you complete a DOCS Education class, you will recall what you learned. Moreover, our courses are designed so you can begin applying your newfound knowledge immediately. Simply by maintaining your active membership in DOCS Education, you are signaling your patients and peers that you are among the best-trained and most highly motivated members of our profession. All members are eligible for consideration for our “Best in the Nation Sedation Dentist” honors recognition, a designation our faculty and staff confer on fewer than 1-in-every-200 of our course alumni. Individually, each of the DOCS Education instructors who teach our live and video courses is a highly accomplished dentist. Collectively, our faculty rises to a league of their own; unequaled for their knowledge, experience, teaching talents, and – most importantly – effectiveness. In short, they teach what they practice. Since 1999, DOCS Education courses have earned the distinction of featuring America’s Best Dental Faculty. DOCS Education members are always first in line to receive invitations to participate in the wide variety of in-person and online courses we provide, including many at special members-only tuition pricing. Watch your member dashboard at DOCSEducation.com, as well as your monthly members-only newsletter, DOCS Community Digest, for regular notices of special webinars; free team-training courses; and our exciting new DINNER with DOCS™ lecture series and networking events. DOCS Education membership does much more than monitor national and state-wide dental guidelines and regulations. We work pro-actively to help shape them. From its founding, DOCS Education members have fought to reduce unnecessary regulation and interference from special interest groups that raise the cost of dental care without benefiting patients. Access to care is a top DOCS Education priority, as we are pledged to make quality dental care available to as many people as possible. DOCS Education officers regularly enlist dentists from the ranks of our members to meet with state dental examiners and other regulators to promote the science of safe sedation dentistry. Annually, our officers and many members attend the national conventions of major dental groups to serve as ambassadors of sedation dentistry. We’re so proud that DOCS Education members travel the nation and the world to provide pro-bono dental care and participate in other volunteer programs. That is not to understate the thousands of hours a year collectively that our members donate to under served patients right in their very own communities. DOCS Education courses and membership programs are specifically designed to encourage lifelong dedication to public service. The DOCS Education Membership Loyalty Team consists of a full-time veteran staff that is available to help you get the most out of your membership. 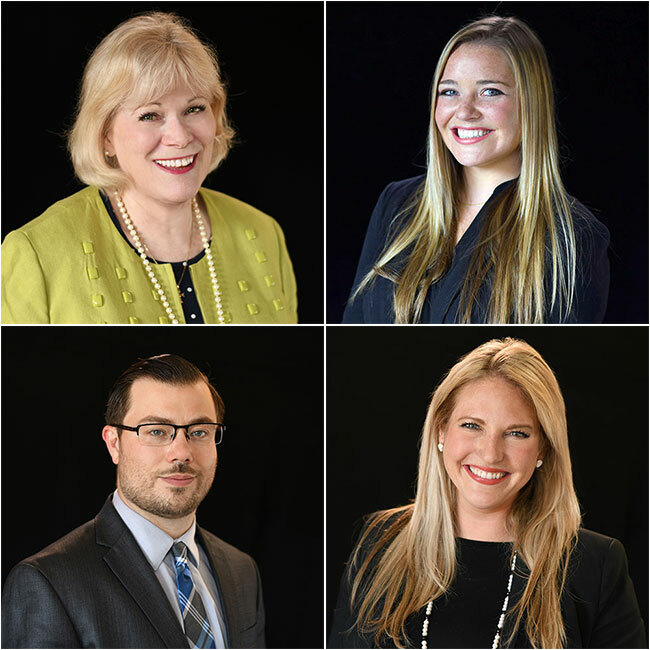 Our loyalty team can recommend appropriate courses for you and your staff; explain features of our members-only dashboard and web content; help you connect with one of our faculty members to obtain one-on-one advice; and ensure you receive members-only savings on our courses and equipment. Get to know one of our loyalty team professionals at 888-922-3550. How can we be of service? For cutting-edge dental news and features, DOCS Education members need look no further than their inbox. Incisor, our exclusive bi-weekly eNewsletter, is a living encyclopedia of relevant, timely, and actionable information for all oral health professionals. Produced by a team of award-winning journalists, under the direction of DOCS Education’s distinguished faculty, Incisor articles include the latest protocol updates, case studies, technologies, practice management strategies, peer profiles, and courses and events of interest. DOCS Community Digest serves as our elite community’s town square. 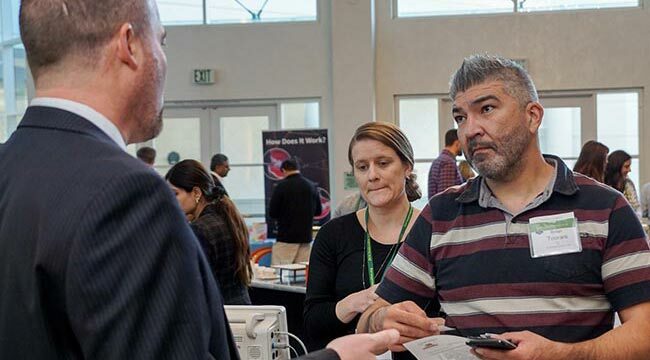 Once a month, and daily for registrants during our major conferences, DOCS Community Digest (DCD) keeps members abreast of all of the latest privileges and opportunities available to them. In DCD, we share highlights of recent meetings – including plenty of photos and videos – as well as commentary by our distinguished faculty, and valuable special offers available exclusively to members and alumni of our courses. Throughout the year, members of the DOCS Education community – including faculty, adjunct faculty, DOCS Education Fellows (FDOCS) and Diplomates (DDOCS), and other health care professionals – produce exclusive White Papers on a wide range of pertinent topics. These free White Papers, many of them available with optional CE credits, take a deep dive on topics of importance that go beyond what is covered in our live and online classes. 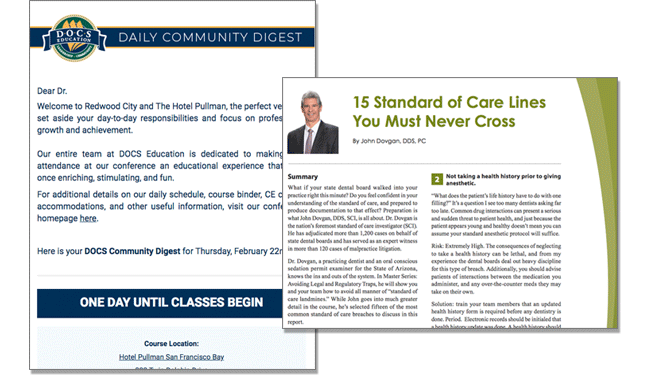 Members can find out more in our monthly edition of DOCS Community Digest and from their member dashboard at DOCSEducation.com. 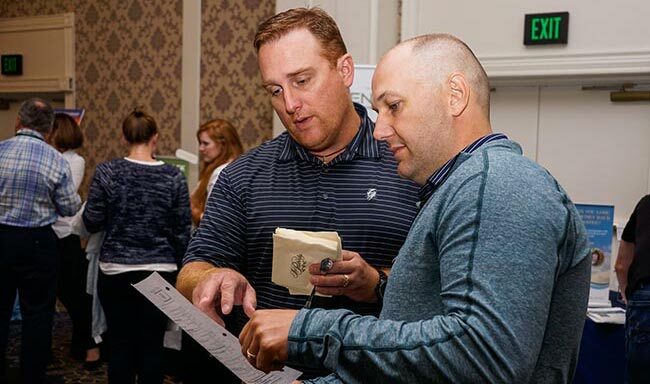 If you are serious about discovering new and innovative methods to market and grow your dental practice, DOCS Education makes available free one-on-one coaching sessions during our live conferences. Learn from industry experts who teach from personal experience. Sign up in advance for these 30-minute sessions, which are available on a first-come, first-served basis. Our coaches do not accept fees nor do they engage in ongoing practice management consulting. Coaching is provided strictly in the spirit of helping out a fellow dentist. When you attend any of our Sedation & Advanced Dental Courses conferences, be sure to bring along your best smile. As an exclusive service to members, DOCS Education offers a free professional photo session for dentists and their team members. Many members use these photos to upgrade their practice websites and social networking accounts. Advance reservations are recommended. Every DOCS Education member receives a Drug Log Book that simplifies DEA requirements for drug inventory and dispensing. Our Sedation Dentistry Guidebook (SDG) provides you with a checklist of the exact steps you’ll need to put your sedation skills to use. A host of other forms, templates, and worksheets are also available. Ask any member of our DOCS Education Loyalty Team about online and phone training to help you smoothly integrate sedation into your practice, how to use the DEA-compliant drug log book, and more. Maintaining state-of-the-art equipment and fresh supplies is vital for every dental practice. By harnessing our collective purchasing clout, DOCS Education can make many practice tools, as well as software, educational and marketing materials, and practice services available to you at members-only prices. Members also enjoy preferred tuition rates and team discounts for most of our in-person classes. Contact any of our Membership Loyalty Team members to learn what discounts you’re entitled to receive. 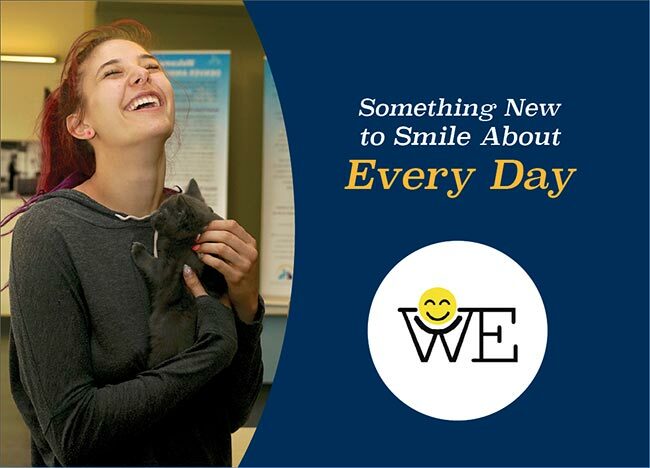 DOCS Education is the founding global sponsor of the “We Believe in Smiles™” campaign, a public service program designed to remind consumers, doctors, regulators, and government leaders alike of the importance of oral health – and the magic of a healthy smile. Every day, the WBIS campaign posts a fresh photograph, taken by prize-winning photographers, of a smiling individual or individuals from all walks of life. These compelling visual reminders appear on Instagram, Facebook, and Twitter along with a positive, uplifting caption. Many of the photos – and their positive messages of good oral health – go viral. If I have a question, DOCS Education provides answers. The faculty has laid out a comprehensive road map for achievement in implementation. I was concerned about one of my sedation cases, and reached out to Dr. Leslie Fang, who answered my questions. If it wasn't for my DOCS Education training, I might not have seen the initial red flags within the patient's complex medical history. I'm thrilled to have learned these important skills. Sedation opened a new door and I have expanded my practice. Now I see patients from all over. I have completed more than 500 sedation cases successfully and am very grateful to DOCS Education. Whenever I speak to a colleague about DOCS Education, I always mention access to their regulatory counsel as one of the best benefits of being a member. 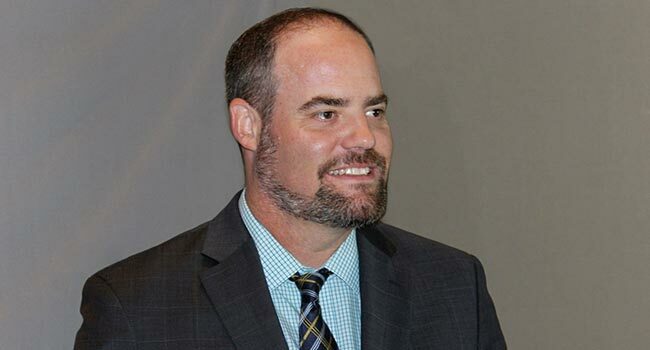 He is so well-versed in each state's regulations that he is able to counsel each office on exactly how to make their state's regulations work in a safe, compliant and practical way.